Catherine, the Duchess of Cambridge, visits St Thomas' Hospital on February 27, 2018 in London, England. 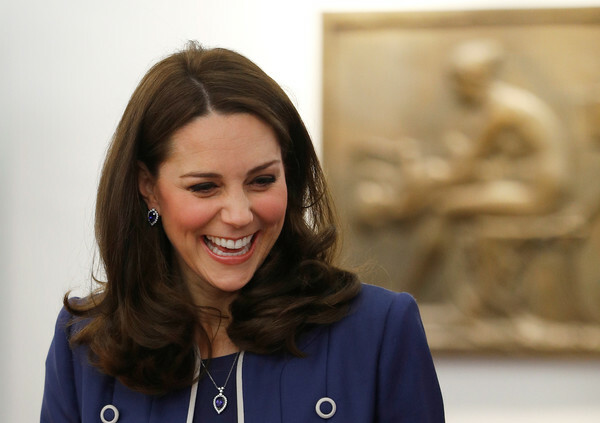 Kate Middleton coordinated her blue and white outfit with a G.Collins & Sons tanzanite and diamond pendant and matching earrings. Kate Middleton looked sweet with her bouncy curls while visiting the Royal College of Obstetricians and Gynaecologists.